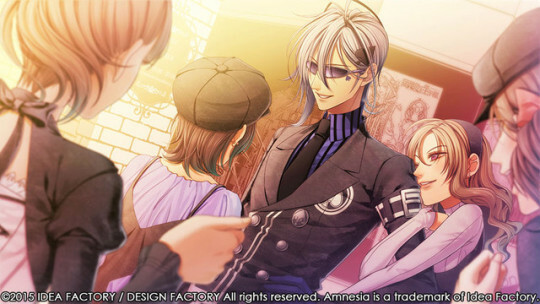 At a recent press event, Idea Factory International announced that they would be localizing their first otome dating sim, Amnesia, developed by their sister studio Otomate. 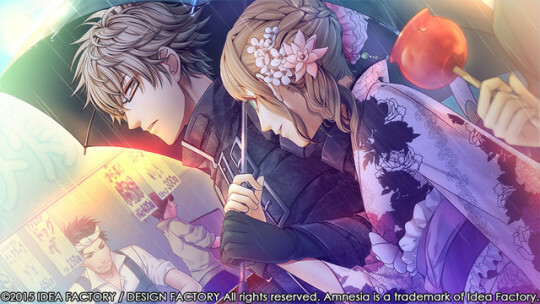 One of Otomate’s other games, Hakuoki, had previously been released by publisher Aksys Games. This is super exciting news because ever since the opening of Idea Factory’s North American branch fans of dating sims have been hoping it would open up their subsidiary Otomate’s library of titles. Idea Factory International had been seeking a publisher for Amnesia last year as well but no news ultimately came of that. Seems instead they opted for a digital-only release, which sounds wise as it eliminates the overhead costs of manufacturing retail disks and obtaining dwindling Vita retail shelf space. 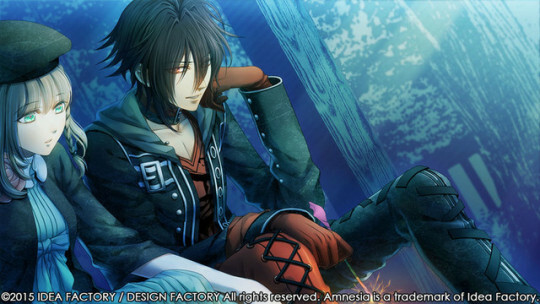 In addition to the Vita they announced they’ll be releasing Amnesia for PC via Steam as well. This was amazing news as a PC version currently doesn’t exist in Japan, so this’ll be a port purely with the Western market in mind. The larger install base on PC will be sure to help with accessibility and bringing in new players. Maybe eventually the iOS/Android port will make its way over in English as well to cover a wide range of platforms. Amnesia is certainly an interesting choice in title. It has some existing popularity among otome game fans, and the character styles and UI look especially gorgeous on the Vita. But the game has some particularly troubling character routes, so I’m really curious to see how well the game goes over with new players expecting happy romances. Also the matter that the main point-of-view character doesn’t talk in the game text and instead intent is inferred based on side commentary or how your partner reacts, similar to drama CDs, may come off as awkward to people who have only seen otherwise in the dating sim games they’ve played. You play as a nameless Heroine who has lost her memories due to an accidental collision by an other-worldly sprite named Orion. He wants to set things right and offers to help guide you through the metaphorical doors that lead to regaining your lost memories. After the introduction the game starts with you outright choosing one of four character routes to attempt, via worlds themed by card suites. The twist is the stories throw you into already established relationships, and it’s your job to figure out why you’re partnered with that particular guy in that version of the world without raising suspicion about your affliction, and piece back together your lost memories. Shin – Heart. Childhood friend of the Heroine and Toma. Was bullied due to his family’s bad reputation. Studying to enter University. Voiced by Tetsuya Kakihara (Toudou from Yowamushi Pedal, Natsu from Fairy Tail). Ikki – Spade. Childhood friend of Kent’s and co-worker to the Heroine. Is very popular and has a large group of fangirls who jealously keep romantic competition at bay. Fourth-year University student. 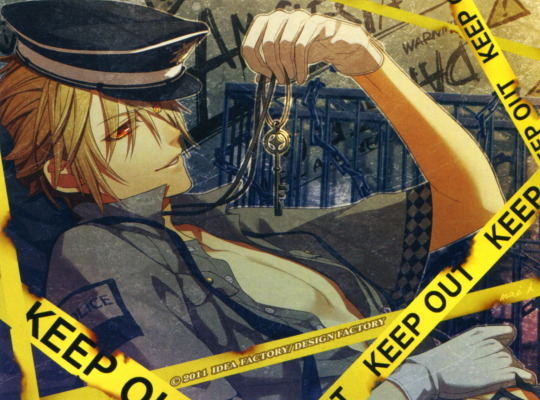 Voiced by Kishou Taniyama (Natsuki from Uta no Prince-sama, Jean from Attack on Titan). Kent – Clover. Childhood friend of Ikki’s and a University graduate. Was the Heroine’s tutor. Voiced by Akira Ishida (Kaworu from Neon Genesis Evangelion, Togami from Danganronpa). Toma – Diamond. Childhood friend of the Heroine and Shin. Second-year University student and acts as an older brother type. Voiced by Satoshi Hino (Noiz from DRAMAtical Murder, Shinkai from Yowamushi Pedal). 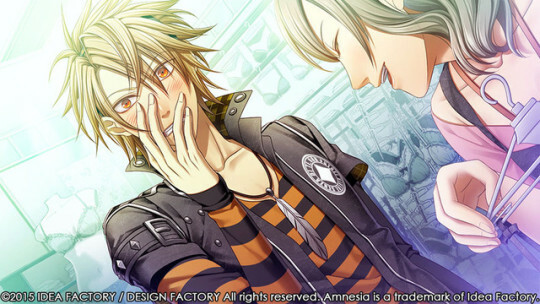 And I can’t really recommend the anime adaptation of Amnesia. It’s a complicated, confusing, and unsatisfying sampler of all the game’s routes combined into a short season. Wait for the game instead, which isn’t that far off! Amnesia: Memories will be available in August for Playstation Vita via PSN and for PC via Steam, with Playstation TV support being patched in later. Games — Code: Realize coming to the West!